Direct System Access – Necessity or Risk? London, December 2013. 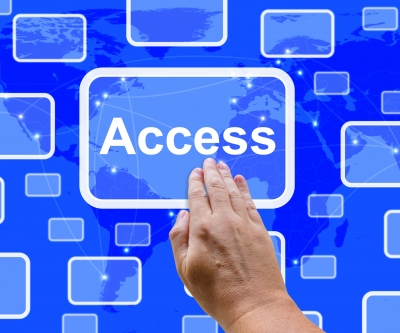 What is Direct System Access ? A System Administrator can log into a server to carry out tasks as part of his duties, often working directly on a production system. “A few years back I worked in a consulting capacity with a customer on a new system design. After a few iterations we needed to look at an existing production system design running a mobile call processing application for a Telecoms client. The customer phoned their in-house Technical Support, with the question of how often these systems actually get restarted. Direct System Access is a risk, regardless of System Enquiry or System Update ! According to Emerson Network Power 2013 Study On Datacenter Outages 584 respondents in U.S. organisations reported unplanned outages. 48 percent cited Human Error as Root Cause. Unplanned outages can cause significant cost to companies strongly relying on IT Infrastructure. A more detailed cost analysis can be found here. How much Direct System Access is really needed? The following table shows typical Infrastructure Operations tasks and how their access types compare. The majority of all system access results in (intended) System Enquiry operations. As System Enquiry operations are typically not time-critical they don’t necessarily require Direct System Access. Can the associated risk be removed or minimised ? threeisquared’s technology helps avoid all or a large percentage of System Enquiry access – with I-Insight we replace ‘Direct System Access’ with ‘Cached System Access’. ‘Cached System Access’ is a technology allowing most day-to-day System Administration tasks including configuration view, troubleshooting, change preparation and data collection scripts to be carried out in a ‘zero-touch’ fashion. No single production machine will be accessed during those tasks. Our solution will eliminate unnecessary risks and significantly speed up work streams that would otherwise require Direct System Access to large numbers of servers. For detailed information how ‘Cached System Access’ can work for your IT Operations please get in touch with us here. London/Manchester, December 2013 – Many industries see a shift away from a ‘box and wires’ view of their IT Infrastructure towards more intelligent and efficient software solutions. Increased pressure from regulatory bodies, internal and external Audit or Compliance departments leave less resources for demanding day-to-day operational tasks. As IT Infrastructure becomes increasingly complex so do the myriads of different work streams that are needed to keep large, global Datacenters running and server downtime to an absolute minimum. Often traditional tools and methods like threshold breach driven alerting, discrete measurements, disjointed or non-existing application views paired with reactive Support models and unreliable inventory data mean that ‘keeping the lights on’ can be a daunting undertaking that often results in operational ‘fire fighting’. As the impact of those factors and its implications to sustainable and IT dependant businesses become more apparent there is a significant change in the Infrastructure and Datacenter Management Software landscape. Structured and targeted analytics replace operational guesswork, predictive diagnostics replace uncertainty, Datacenter configuration drift is understood and addressed, random resource access is replaced by channelled, risk avoiding methods and Datacenter Inventories and Golden Source data are no longer maintained manually but automatically updated through discovery methods. threeisquared are committed to driving the change towards automated and efficient Datacenter Management. On December 5 2013 we partner up with TechHub Manchester and industry leaders Barclays and IBM to enter a dialog about changes in our industry and how entrepreneurship will shape the Future Of Enterprise Software.